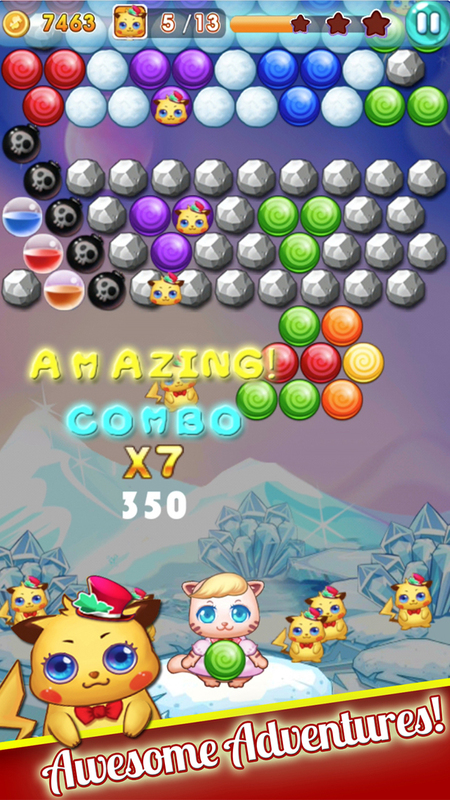 Bubble Pet is fun and addictive bubble shoot game, but the way to play it is different. The balls will continuously scroll down. You need quick hands shoot the balls to rescue all pets. 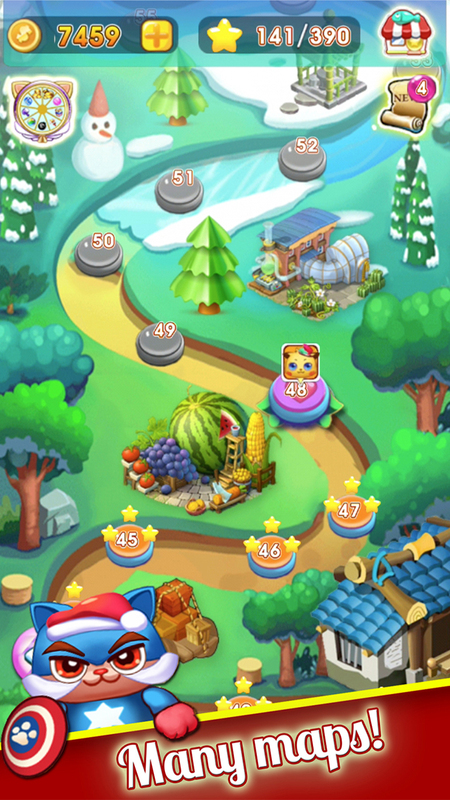 Rescue all the pets on the screen to level up, and try to get 3 stars on each level. * Tap where you want to shoot the bubble. * To group 3 or more bubbles to make them burst. 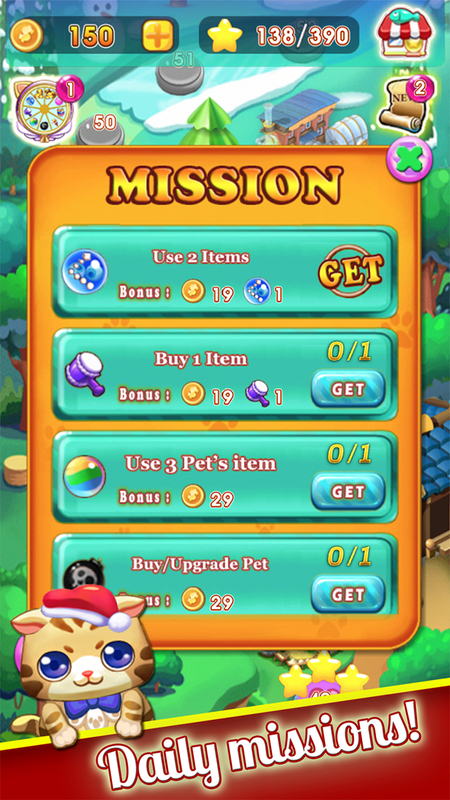 * Use the limited bubbles to rescue all the pet on the screen. * Enchanting graphics, beautiful world and vivid bubbles. * Having sky snow, and other beautiful scenes. * 130+ different and magical levels, and more added later. * Easy to play, challenging to master. 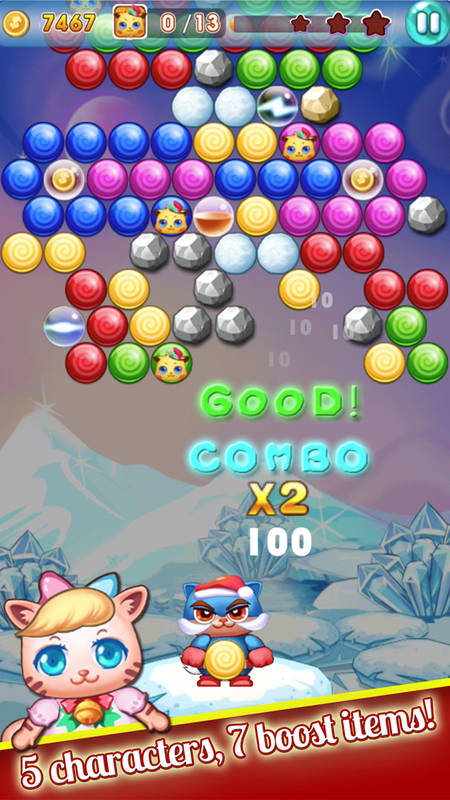 * Special boosters & bubbles to help you pass tricky levels. 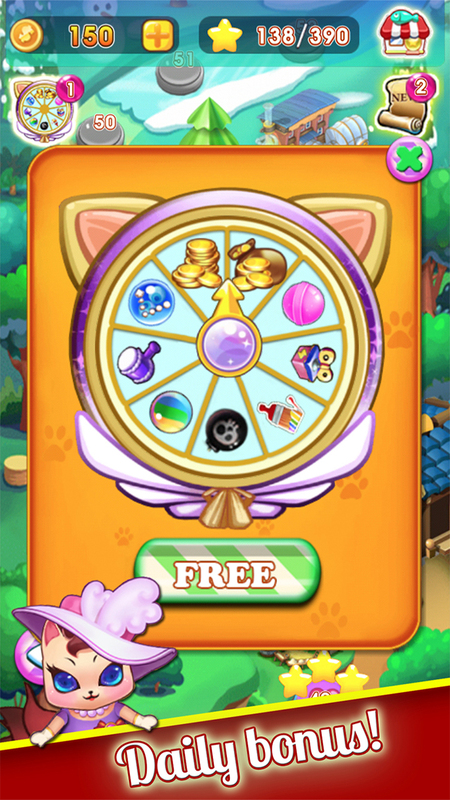 * Daily rewards with lucky spin will give you extra bonus. Bubble Pet is completely free, and we also provide some in-game items which require payment to let you play more easy.